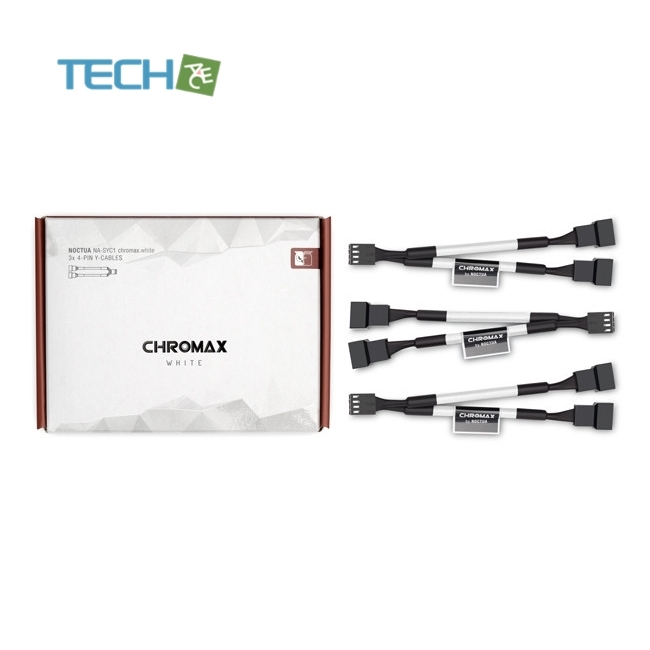 The NA-SYC1 chromax.white is a fan accessory set consisting of three NA-YC1 y-cables that make it possible to run two 4-pin PWM fans on a single fan header and to let the motherboard control the speed of both fans simultaneously. Multiple NA-YC1s can be daisy-chained to control more than two PWM fans via one header. 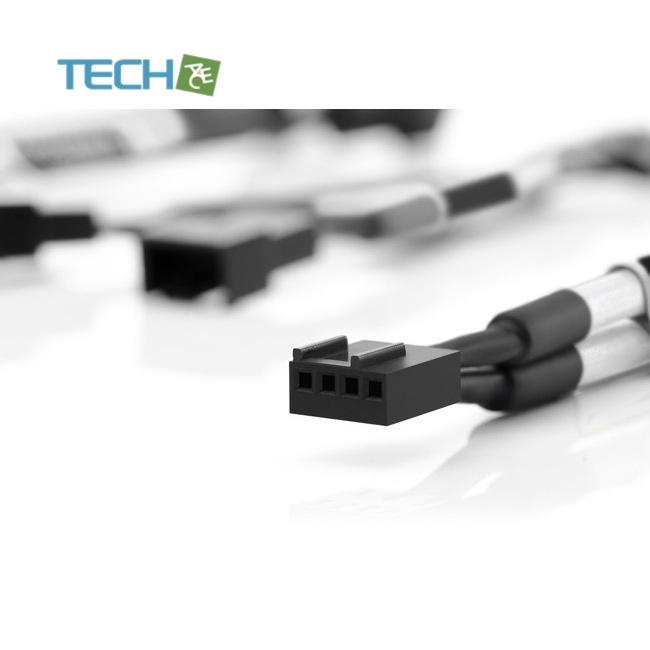 The NA-YC1’s 4-pin connectors are compatible with both 3-pin and 4-pin PWM fans, but PWM control is only supported with 4-pin fans. Thanks to the white sleeving, the cables are ideal for creating PC builds with neat, focused aesthetics and are a perfect match for Noctua’s chromax edition fans.